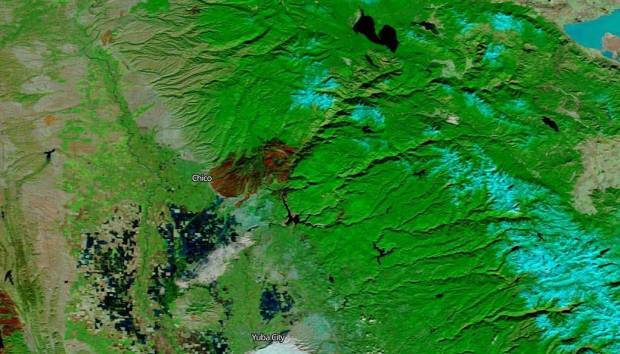 The Lilac Fire is now 100 percent contained. NBC 7's Ramon Galindo reports. A couple turned their misfortune into a renewal of their love after discovering a valuable possession while sifting through the rubble left behind by a rapid-moving wildfire in North County. Vaughn and Barrie Grant spent Saturday with a group of volunteers sifting through what little remained of their Bonsall home after it was torn to the ground by the Lilac Fire while they were out of town. It was not what they hoped they'd be doing the month of their 50th wedding anniversary. Considering the circumstances, the Grants were in surprisingly good spirits Saturday. It may have been because earlier in the day, while combing what used to be the bathroom, volunteers discovered one of Vaughn Grant's most valuable possessions: her wedding ring. It was about the only thing Grant was hoping to find, but she got even more than she was hoping for. “He asked me to marry him again,” she said. “He had the ring, he gave it to me and asked me: ‘Will you marry me’ and I would again in a New York minute,” Grant said as she gave Barrie a tender kiss on the cheek. Grant’s ring might not be as shiny as it once was, but with the help of their neighbors and family, the Grants say together they’ll be just fine. The Lilac Fire was fully contained Saturday but had destroyed 157 structures, most of which were San Diegans' homes. 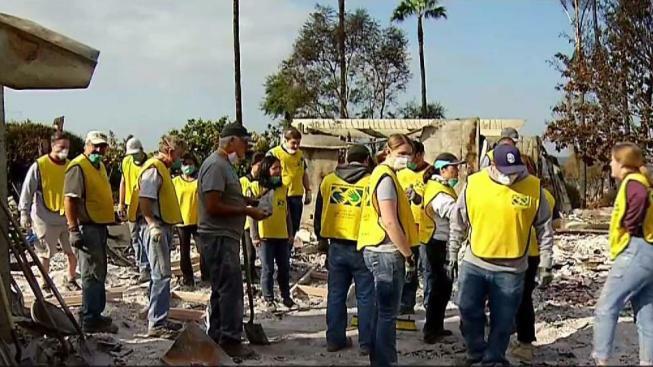 Dozens of volunteers were helping victims of the Lilac Fire comb through the rubble of their homes. It was one of those volunteers that came across Vaughn's wedding ring. “The fact that we were able to recover this lady’s wedding ring, which was pretty much the sole possession that she was after, it’s definitely rewarding at the end of the day,” volunteer Cole Thompson said. Volunteers hope that over the next few Saturdays, they will be able to help more of those devastated by the Lilac Fire find their precious treasures.